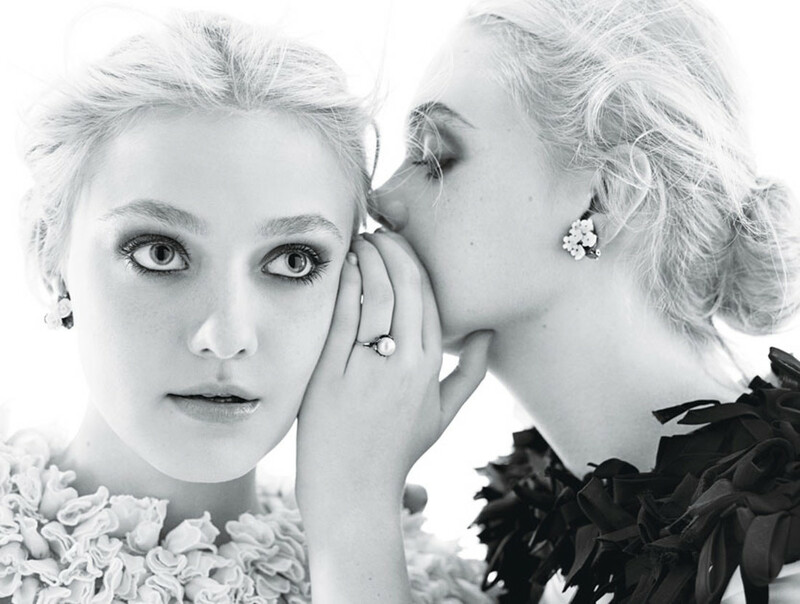 I found these fascinating portraits of the Fanning sisters in W Magazine editorial 2011. I remember being fascinated at the time the use of high-key in those faces so similar. They looked like two dolls. Photographer of the session was Mario Sorrenti, with styling was provided by Lori Goldstein.